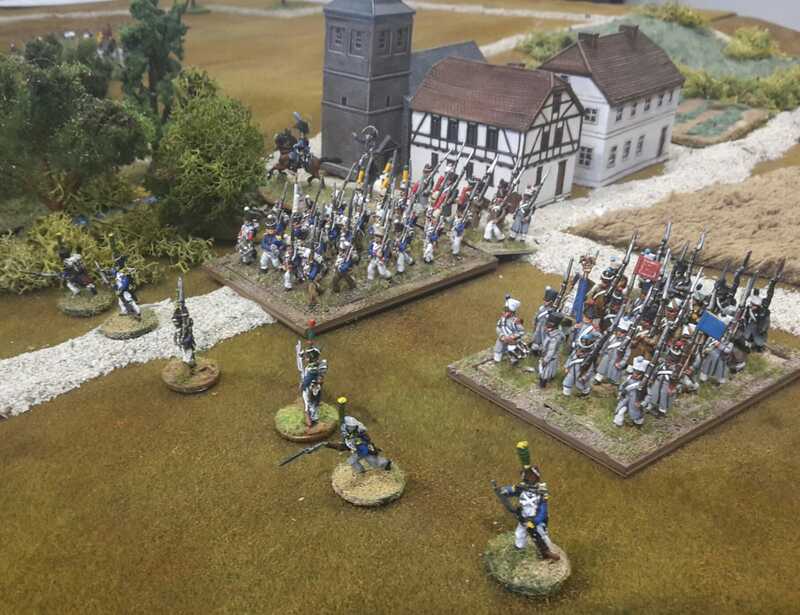 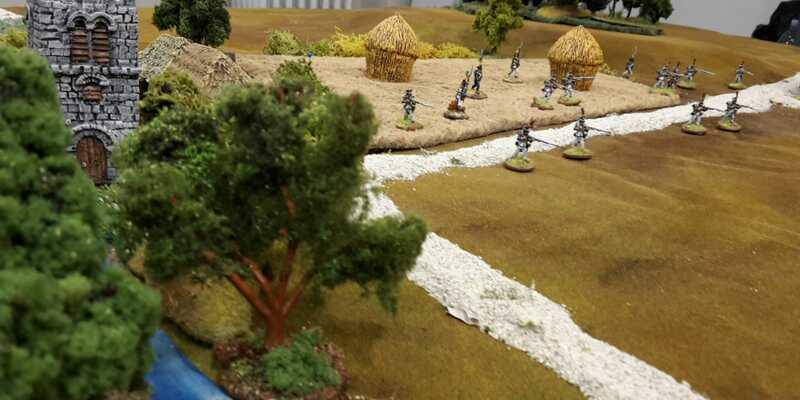 On July 7, 2018 my club mates decided to recreate the Auerstädt battle using Black Powder rule system. 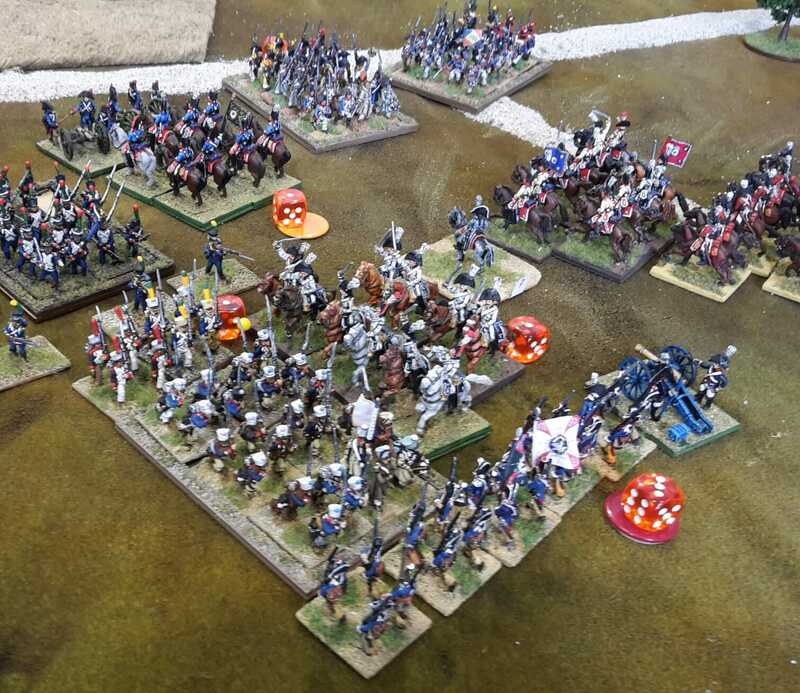 The scenario and the table are prepared by Ezio and they simulate the fights from 9 am to 1 pm. 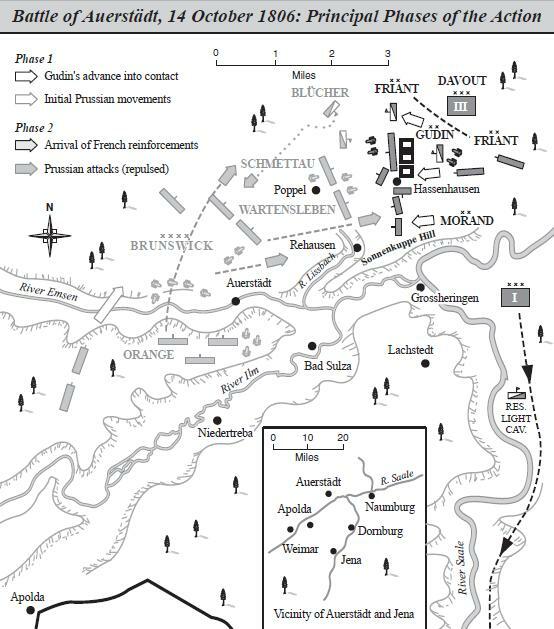 The battle of Auerstädt was fought on October, 14 1806 between the forces of Napoleon and Frederick William III of Prussia and, it was part (with his twin and best known battle of Jena) of the decisive defeat for the Prussian army. 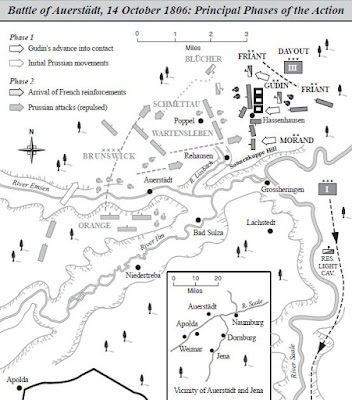 Below an imagine of Jena and Auerstädt battles from Wikipedia. 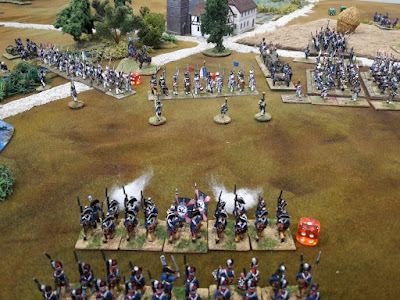 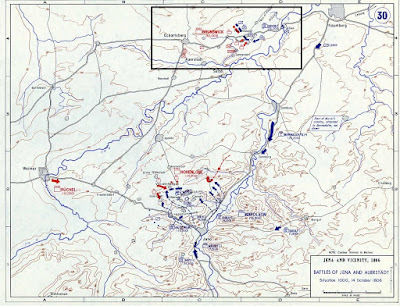 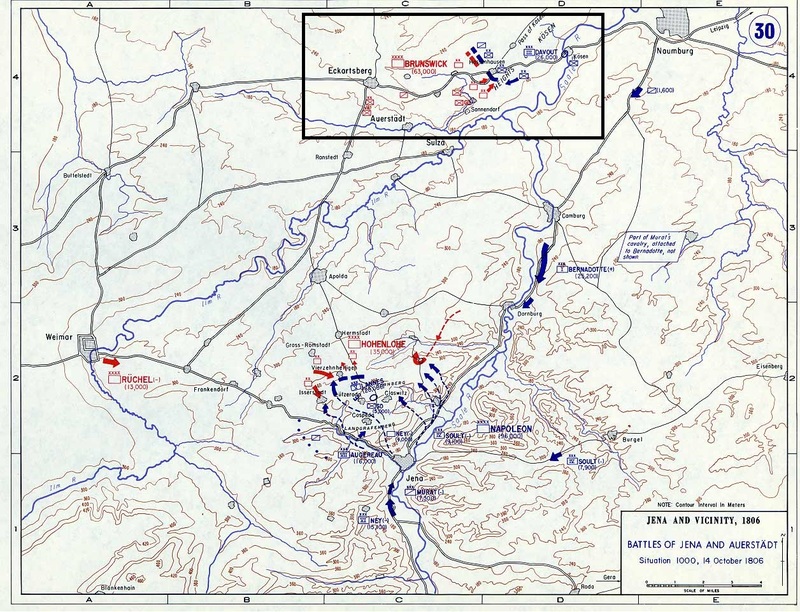 and another detail of the Auerstädt battle movements during the day. My mates played this scenario on a 240x150 cm table and with around 900 miniatures (scale 15mm). 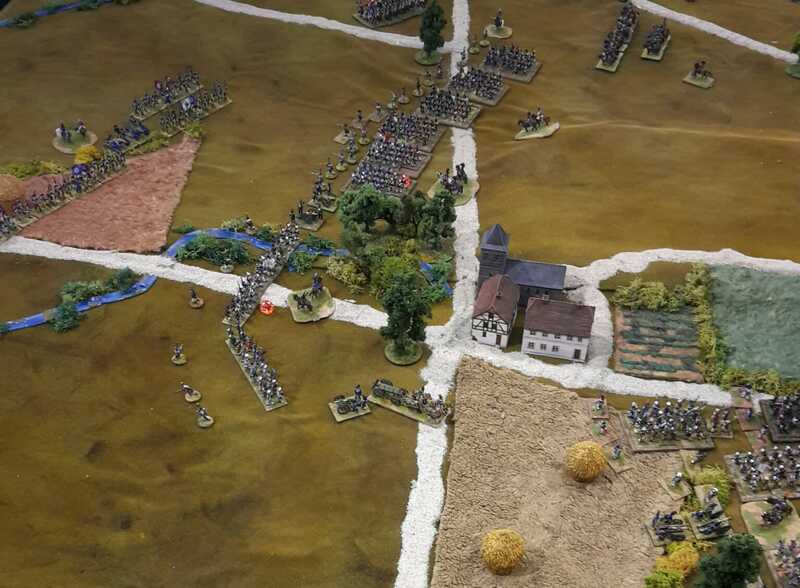 … and continues to hammer French lines that absorb part of their shoots thanks from voltigeurs screen (as well as happened on the real field). The Prussian cavalry starts his attack but even if they break the central French division it is too late. 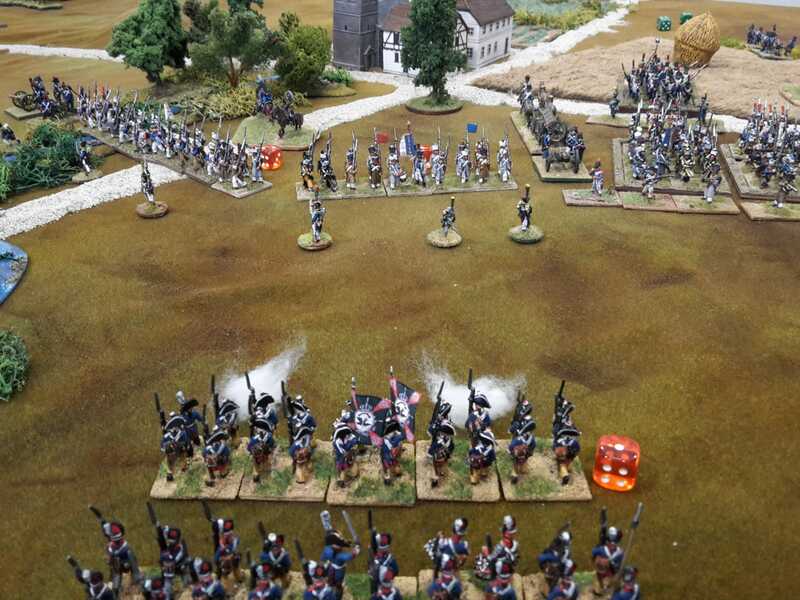 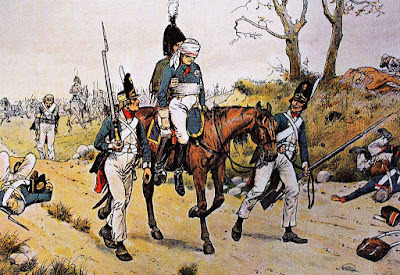 … the Prussian infantry divisions leave the field and so Auerstädt remains another Napoleone’s victory.